Sequim Real Estate – What’s Selling? Sequim real estate is moving, as in selling. Water views are in demand as they always have been. A nice water view in a nice area with a nice three bedroom home all on one level, and priced reasonably, is a rare find in this market. A panoramic mountain view is to die for, and while we do have plenty of mountain views, a great mountain is rare. There is plenty of Sequim real estate with a peek-a-boo water view or peek-a-boo mountain view, but not many with the kind of view that makes you sigh. The home in this photo recently sold. It was a modern home, almost like something out of a Homes and Garden Magazine, and it would be right at home in Beverly Hills or some exclusive place in California. But it was in Sequim up in the mountains on 15 acres with a barn. 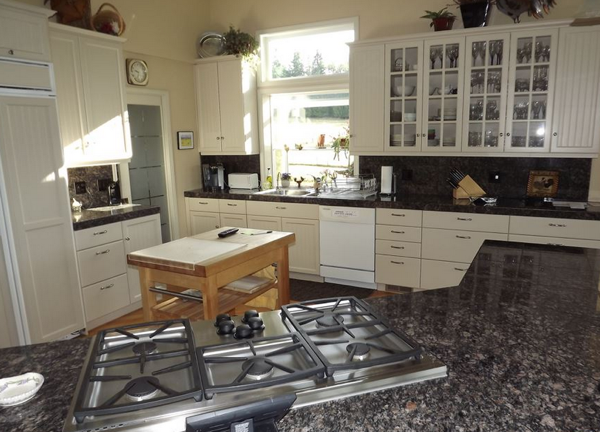 What a gorgeous piece of Sequim real estate. Okay, this would not be everyone’s cup of tea, but for these buyers, it is a piece of Heaven. The mountain view is unbelievable. Well, let me show it to you. 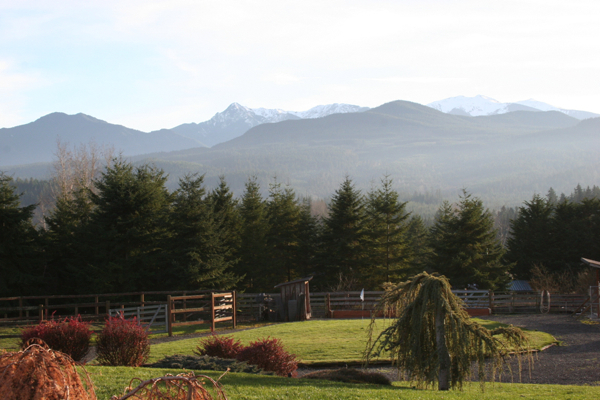 This stunning Sequim mountain view would be hard to take every day, wouldn’t it? This is what you see from the living room and dining room and kitchen and sunroom. This buyer is very fortunate. With 15 fenced acres, horses can play and feed to their hearts’ delight. Granted, not homes are this perfect, but have you been to Sequim lately? Come and see some Sequim real estate and see for yourself.